Following the launch of their book, we caught up with John and Cate Gunn, the brother and sister team behind Beyond A Thousand Hills. In 2017, John ran the length of Rwanda, closely followed, supported and photographed by Cate. Their deliberately slow journey through the country was a chance to meet the individuals and communities at the root of change in Rwanda. 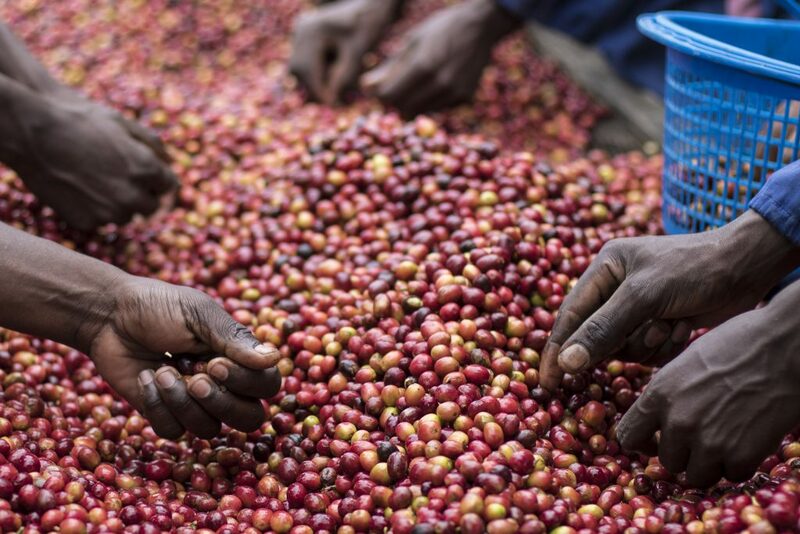 Through photographs and editorial contributions from the people they met along the way, Beyond A Thousand Hills illustrates John and Cate’s journey through a dynamic and determined contemporary Rwanda, where the fundamental message is unity. John, why did you decide that you wanted to run across Rwanda? And Cate, what persuaded you to join him? John: Great first question! I’d always been fascinated by Rwanda, a country with such a tragic past that’s not only recovered but developed beyond recognition over the last 20 years. From afar, Rwanda always filled me with wonder. From impenetrable forests, to active volcanoes and the famous Gorillas in the mist. It was a country that I’d always dreamed of one day exploring, I just needed an excuse. 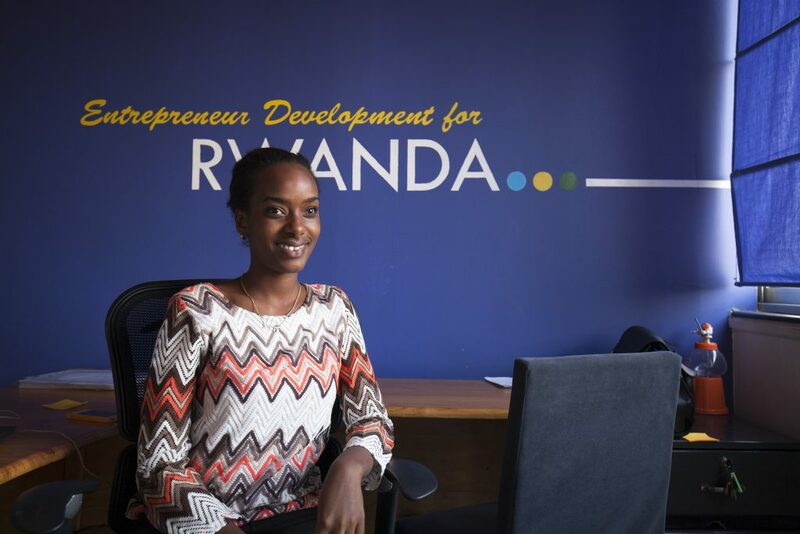 That excuse appeared when I started to read about a very unique culture of entrepreneurship forming in Rwanda. 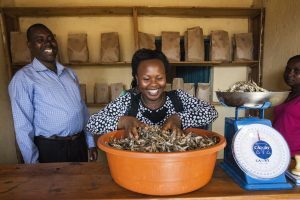 I work with social entrepreneurs here in London and I kept hearing Rwanda being labelled as ‘Africa’s First Entrepreneurial State’. I stumbled across an American owned and Kigali based business accelerator and social enterprise called African Entrepreneur Collective (AEC) and I decided to get in touch with the founders. AEC are a truly inspiring organisation, working with hundreds of Rwandan entrepreneurs, stretched across the entire country. 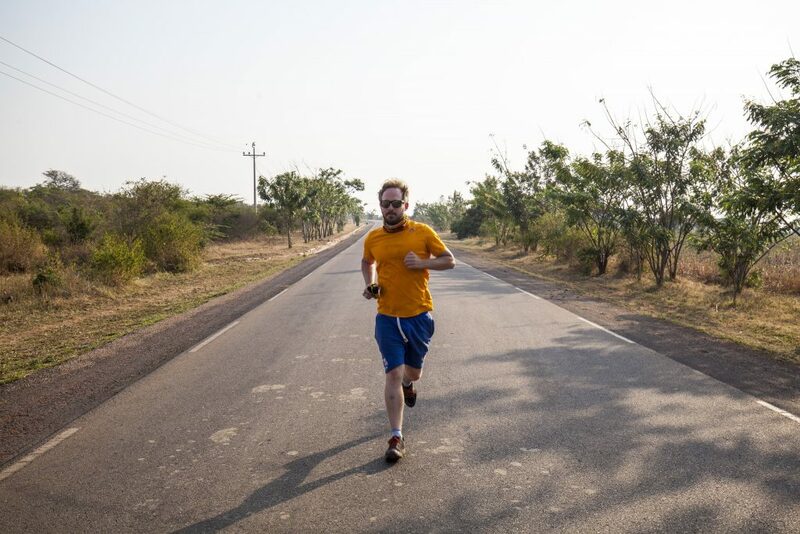 After a couple of Skype chats with the CEO, we hatched a plan for me to run across Rwanda with a photographer in tow. Our objective would be to meet local entrepreneurs along the way and use photography as a means to tell their stories, while simultaneously shining a light on entrepreneurship in Rwanda. I just needed a photographer! Cate: It didn’t take much persuasion. I’d studied Rwanda’s history at university but knew nothing about the county today. 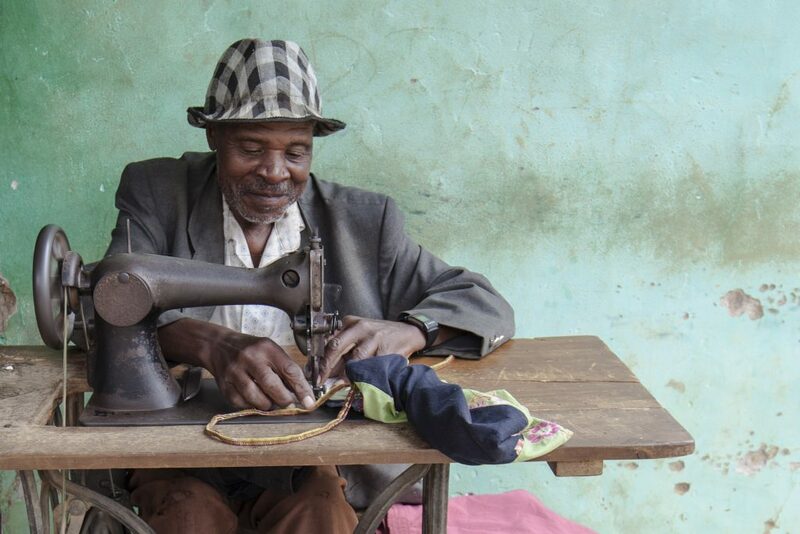 I’d spoken to other people and it seemed no one knew much about the modern face of Rwanda. I couldn’t wait to get out there with my camera as I knew we’d be exploring off the beaten track. I work best when I’m truly immersed in local culture and the run felt like a really intimate opportunity to capture a fascinating country. Did you always go with the intention of creating ‘Beyond A Thousand Hills’? How the project was born? John: Our original plan was to create a photography book focused on Rwandan entrepreneurship but we were completely taken aback by the diverse beauty of the country. While we were passionate about using there book to raise money to support AEC (all profits from book sales are being donated to support Rwandan entrepreneurs), we decided to produce a book that celebrates a more ‘holistic’ view of Rwanda. 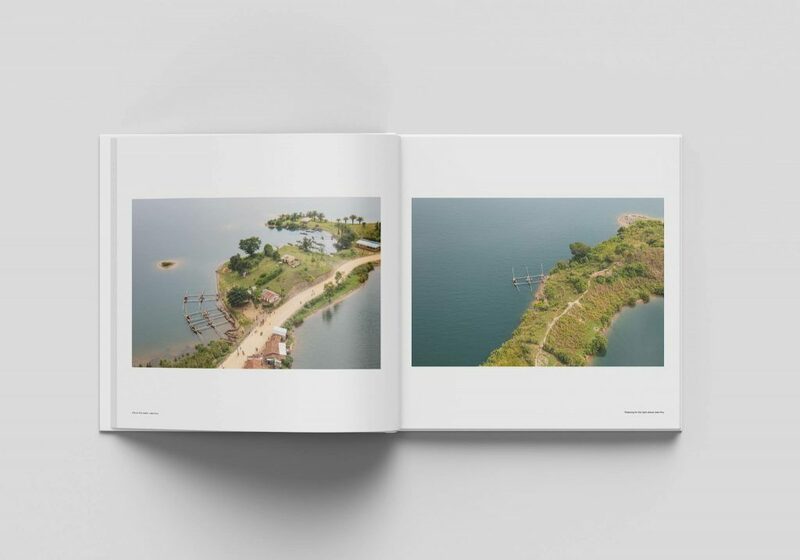 We wanted to challenge people’s perceptions of the country by taking readers on an intimate visual journey through contemporary Rwanda. Beyond A Thousand Hills covers every angle of the country, from Rwanda’s stunning landscapes and the wonderful people and culture to awe-inspiring wildlife and deep wilderness. 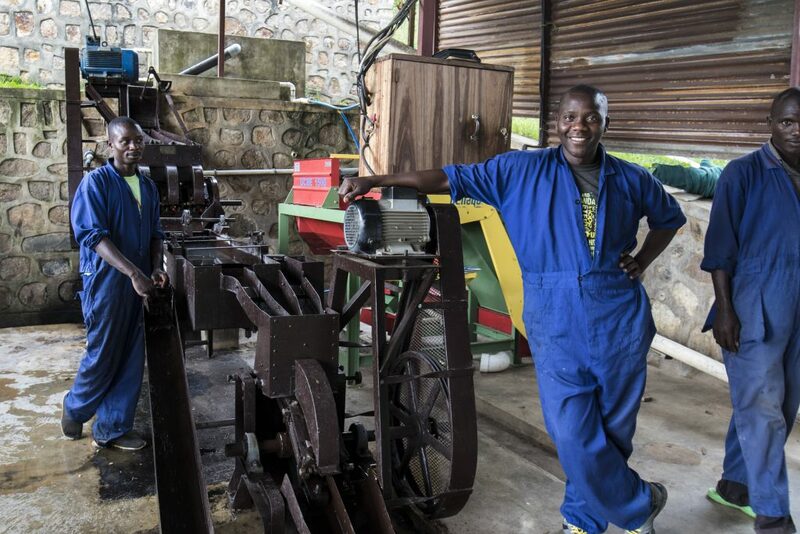 Our hope was to inspire a new wave of discerning travellers to visit Rwanda. Cate: It was a big decision to suddenly scale the project! To gain the access we needed, we partnered with other social enterprises, innovative organisations and even National Parks and soon found ourselves returning again and again over the space of 2 years, photographing and documenting the county from water, land and air. I’ve spent time living across Africa and Asia and Rwanda has to be one of the most beautiful countries I’ve ever visited. We were desperate to show it off to the world! Do you have a favourite photograph from the book? 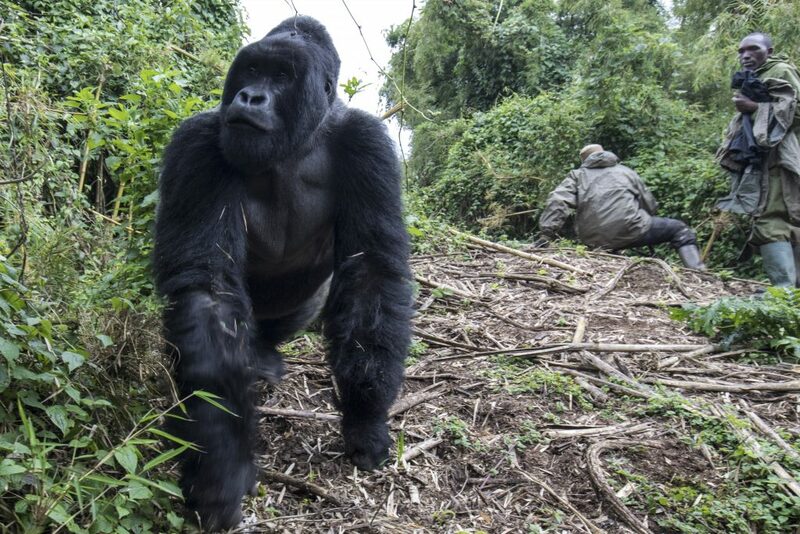 John: I love the photograph of the Gorilla, captured with a couple of National Park guards in the background. I was with Cate when this photo was taken and the huge Silverback was towering over us, only a few feet away. It was an incredible experience. As well as the memory, I love the symbolism in the photo. There are only about 1200 Mountain Gorillas left in the wild and they’re fiercely protected in Volcanoes National Park. For me, this photo sums up the power and charisma of these great primates, while simultaneously highlighting their tragic vulnerability. Cate: I love the old man with the sewing machine. This photo was taken on the Congo Nile Trail, a stunning lakeside path that stretches down Rwanda’s western border with Democratic Republic of the Congo. For me it captures a personal connection as he stitched my bag on the roadside. 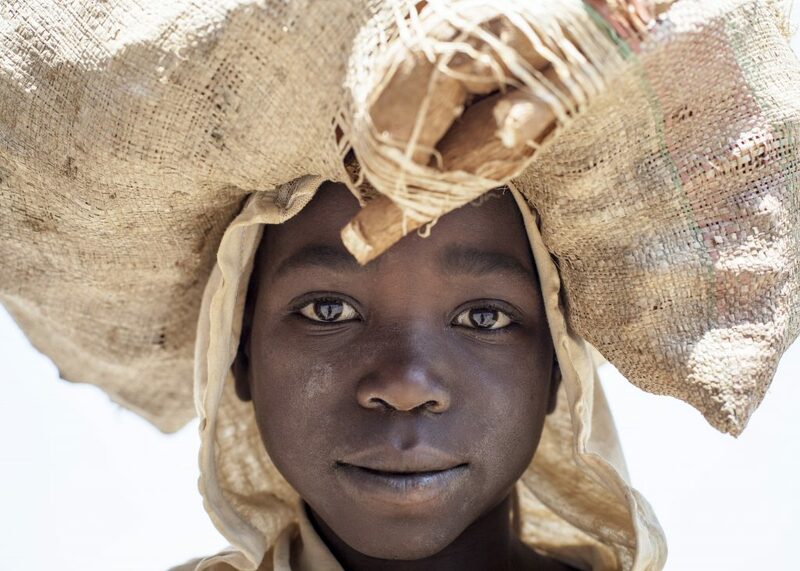 The pastel colours and natural portrait also reveal the gentle nature of the local people. It was a magical moment. Where was your favourite place in Rwanda? John: I loved Akagera National Park, in the far East of the country, bordering Tanzania. So few people know that Rwanda has a Big Five National Park and the Safaris are world class. Akagera boasts stunning eco-lodges and incredible conservation projects, as well as the opportunity to get up close and personal with Lions, Leopards and a wide range of majestic African wildlife. 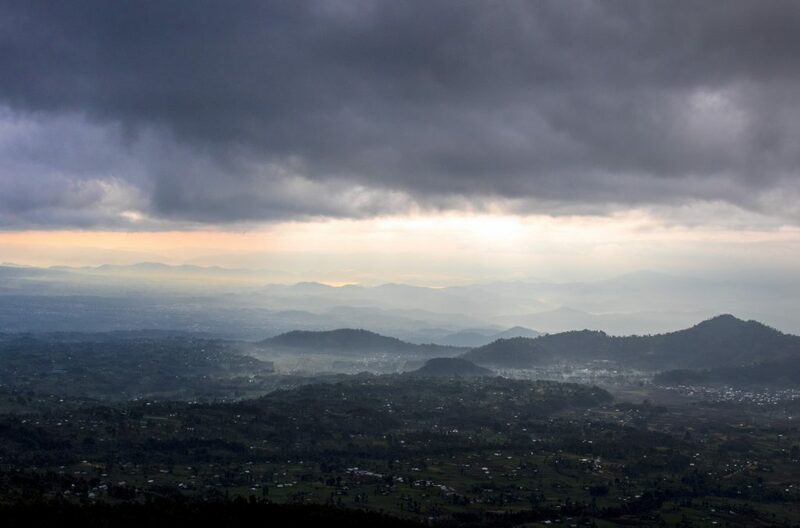 Cate: Exploring the mountainous and volcanic terrain of northern Rwanda in the rainy season was mysterious, evocative and incredibly photogenic. The streets were vibrant, and the landscapes filled with rich earthy colours as the mist engulfed the hills. Some of my favourite photos from the book were taken with the communities living on the edges of Volcanoes National Park. You must have met some amazing people during your time there. Who really stands out? John: During our time up in Northern Rwanda, we were fortunate to visit the national Rwandan Cycling Team (Team Africa Rising) and we were shown around by Jock Boyer, the founder of the team and the first American to participate in the Tour de France. In the space of a few years, Jock has worked with a whole bunch of extremely talented and dedicated Rwandan riders and the country is now becoming a cycling force on the world stage. I’d heard a lot about the ‘impossible rise of the Rwandan cycling team’ back in the UK, and it was inspiring to see the team in action. We were also excited to include a selection of great photos of the Tour Du Rwanda in the book! Cate: It has to be the passionate local entrepreneurs supported by AEC. Liliane Uwukeull and Jean D’Amour Mutoni were particularly memorable. They set up a health clinic in Nyamata, specialising in treating low income women with children in rural areas. It was the kind-hearted nature and enthusiasm from both of them that stood out. Do you have a piece of kit would you never be without? John: During the run I had a satellite phone that I carried with me at all times. It forced me to cover every inch of the country by foot but it was also a great way for friends and family to follow the run back home. Cate: I’d definitely say a sarong. I’ve used mine as a camera dust sheet, a towel, head scarf, skirt, bag and sun block, all in one day! I’m sure it has a multitude of other uses! What’s your favourite traditional dish? John: It has to be the local Banana Beer, a fairly potent alcoholic drink that’s made from fermented mashed bananas. We spent a lot of time running through rural Rwanda, often miles from any town or village. Every now and then, a friendly local would wave us into their home and offer us a small glass of Banana Beer. The people we met, without exception, were incredibly hospitable and generous (even if running after a couple of glasses of Banana Beer isn’t ideal!). Cate: I love the traditional Rwandan potato, bean and avocado dishes. We spent a lot of time farming and cooking with the locals, which was great fun and the simple local food is always the tastiest for me. What is your favourite local saying or myth? Do you have a favourite word in Kinyarwanda? John: If you visit Rwanda, you have to spend time in Nyungwe Forest National Park. It’s the best preserved mountain rainforest in central Africa and it must be one of Africa’s best and wildest areas for hiking. 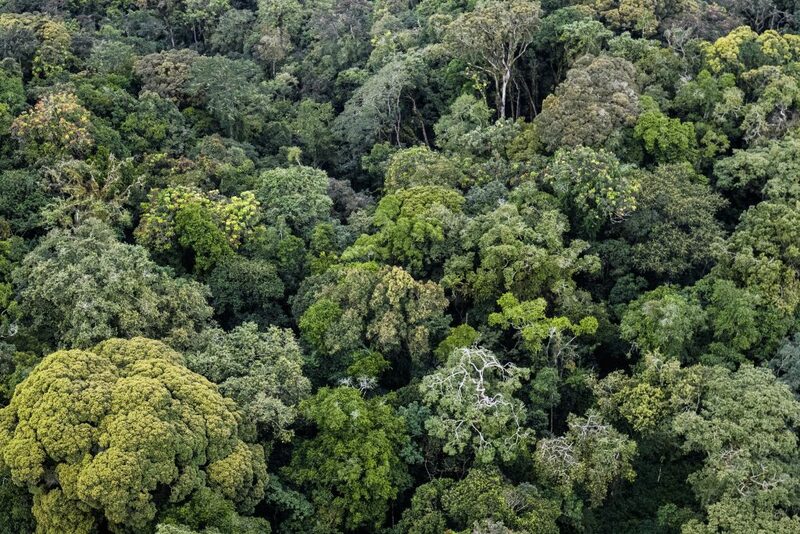 There is an ancient Rwandan myth that the forest was so perfect, so beautiful and so rich with biodiversity that the god’s decided to spare it during the ice age. The full story is in the Beyond A Thousand Hills book and it paints an evocative picture of how Nyungwe was the only place in the world to survive the last Ice Age. Cate: Muraho (meaning hello), is my favourite word in Kinyarwanda. It’s always said with such cheer and warmth. We must have heard Muraho shouted thousands of times as we slowly weaved our way across the country. Have you plans to make another trip elsewhere? What are you both up to now? John: I’m back working in social innovation in London but fortunately Beyond A Thousand Hills is selling very well in Rwanda so we keep having to pop back out for meetings with the tourist board and various retailers. 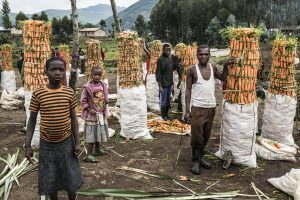 We’ve made so many friends and connections in Rwanda, I try to spend as much time in the country as possible. 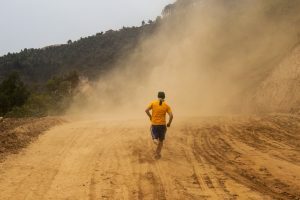 Cate: Whilst we’re planning future trips to Rwanda in order to continue to share the work of so many great organisations, I’d love to travel to Bhutan to explore its striking landscapes and ancient spirituality. I’m currently planning some participatory photography initiatives whilst working as a coach, supporting vulnerable and homeless people in the UK. 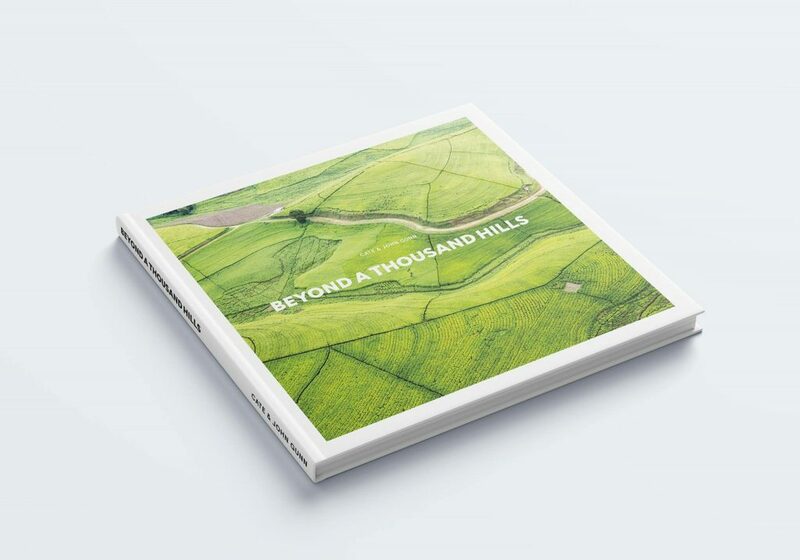 Beyond A Thousand Hills is available to purchase here. Please get in touch if you would like to come cycling in Rwanda with us.